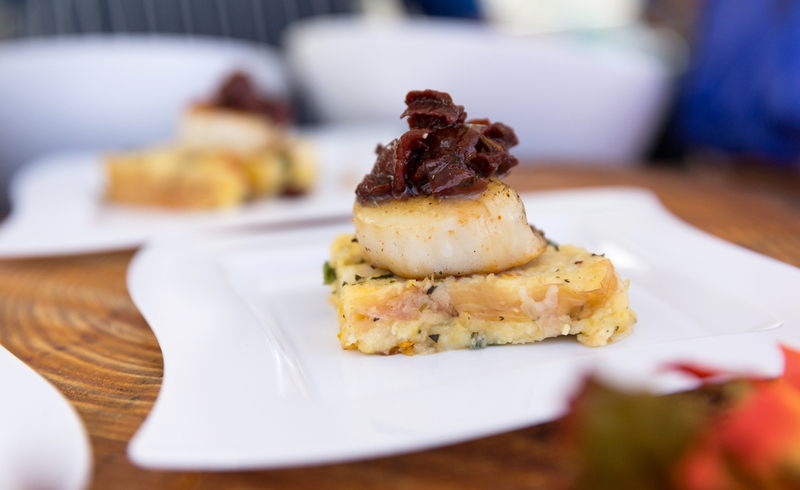 Sample delicious dishes from renowned chefs at The Wharf Uncorked Food & Wine Festival at the The Wharf September 13 – 15. 8 p.m. AC/DC’s “Back in Black” album will be performed in its entirety by a group of handpicked musicians. The performance is separated into two sets: The first set features “Back in Black” recreated as a true symphonic piece. The second set opens in full contrast to the first with an incredible light display and quick tempo. Tickets range from $22 – $32. 7:30 p.m. – 9:30 p.m. The Mobile Symphony brings the world-renowned classical singer to the Port City. Fleming has performed at prestigious events such as the Nobel Peace Prize ceremony and the Diamond Jubilee Concert for Queen Elizabeth II at Buckingham Palace. Meet the National Medal of Arts winner during the Champagne Reception after the performance. Tickets range from $30 – $150. Government Plaza • 205 Government St.
5:30 p.m. – 9 p.m. This “must do” event, benefiting the Ronald McDonald House of Mobile, is an evening for ladies 21 years of age and older and features heavy hors d’oeuvres from local area chefs and restaurants, McTini’s and an unforgettable evening of manicures, makeovers, shopping, entertainment and more. Tickets are $50 in advance and $60 at the door. The three-day event combines tastings of delicious food and tantalizing wines, live entertainment, demonstrations from renowned chefs, live and silent auctions, all garnished with a pinch of Southern flare and a dash of Gulf Coast hospitality. Proceeds benefit Make-A-Wish® Alabama. 8 a.m. 5K, 9 a.m. Fun run. Lace up for this run benefiting Mitchell Cancer Institute’s gynecologic cancer research. Be sure to stick around for the post-race party! 9 a.m. – 5 p.m. Celebrate Dauphin Island’s pirate heritage with treasure hunts and reenactments. Tickets are $8 for adults and $4 for kids. Children 4 and under are free. 8 a.m. – Noon. Get up close and personal with the Delta during this strength and endurance 5K obstacle course. Individual registration is $65, and proceeds will benefit the North Baldwin Young Professionals Scholarship Fund and the North Baldwin Chamber of Commerce. 8 p.m. The movie and comedy star will bring his routine to the Port City. Tickets range from $25 – $45. 10 a.m. – 5 p.m. Live entertainment, festival food, arts and crafts booths, kids activities and big-game-worthy big screens makes this Eastern Shore festival fun for the whole family. Admission is free. 7 p.m. Don’t miss the American rock band perform live with special guests JOHNNYSWIM and The Rocketboys. Tickets range from $21 – $51.